The power of questions is a simple yet dynamic catalyst for creating change. Asking the right questions will re-ignite curiosity, and allow you to explore new possibilities that you have been hiding behind all those judgments, conclusions and limiting beliefs. This 'Power of Questions' article is being re-posted from Rewireme.com. Written by Dr. Dain Heer on February 25, 2016. The gift of our curiosity is its power to open us up to new and greater possibility in every moment. Curiosity is essentially the state of being in constant, unhindered question, inquiry and wonder. Discussions around the psychological benefits of curiosity indicate that not only is it key to creating lasting happiness, it also has the power to change your life and the world around you. Even Einstein, one of the greatest minds of our time, credited his curiosity above his talent or intellect. One of the most dynamic ways we impair our curiosity is when we judge, self-criticize, or see any part of our lives or ourselves as lacking. Questions are a simple yet dynamic catalyst for creating change. Asking the right questions will re-ignite curiosity, and allow you to explore your difference, capacities, greatness and your possibilities that you have been hiding behind all those judgments, conclusions and limiting beliefs. Here are my top 3 tips for asking the questions to get you out of limitation, ignite curiosity and create transformative change. There are questions that will help you, and then there are statements with question marks attached. 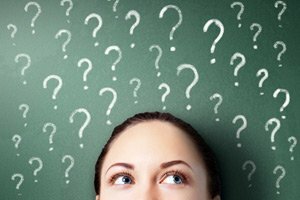 The latter kind look like questions, but are really just dead-ends in disguise – as these types of questions will always lead you back around to judgment, conclusion or a limited point of view. A great example of this is when we ask ‘Why?’ How often do you actually get anywhere with ‘why?’ such as “Why did this happen to me?” “Why am I this way?” “Why did you they do this?” Asking a ‘why’ question will lead you around in circles. It does not invite new information or open up a different path for you to take. ‘Why?’ keeps you locked into your conundrum, giving you all the reasons and justifications for why you are stuck, but it doesn’t give you anything that will empower you to move forward. Anytime you catch yourself asking ‘why?’ – change it to a ‘what’ question instead. With ‘what’ questions, you become present, you look up and out, and empower yourself to see what will work for you, rather than focusing on what isn’t working. What is right about this I am not getting? What is right about me I am not getting? What can I be or do different to create? Another interesting thing about asking a real question is it never has a final or definitive answer. A real question opens doors to infinite possibility, or multi-potentialities. It inspires ideas and creates a sense of space for something different show up today, tomorrow, a week, a month or a year from now. A real question is open-ended, and never completes. An answer is a completion; it gives you nowhere else to go. Think of it this way, is there an end to curiosity? No. There is always something more to be curious about. That is how real questions can and should function in your life. 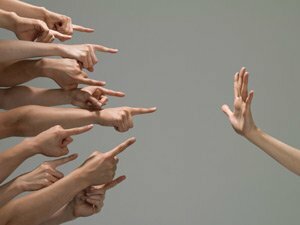 At some point, just about everybody feels the effect of other people’s judgments or their own self-criticism. We are taught that judging ourselves or being judged by others is the way to make us change. Only, it doesn’t work. Judgment is actually a very poor motivator. When you have a strong sense of curiosity, is motivation an issue? Or does the wonder of what else you can be, do, learn and create generate an enthusiasm for living that the ‘motivation via judgment’ paradigm was supposed to do, but can’t actually achieve? Anytime you feel trapped by self-criticism or at the effect of other people’s judgments of you, ask a question like, “What’s right about me I am not getting?” When you question in those moments, you disrupt the judgment-cycle, creating a pattern-interrupt, and you also start looking at what’s right about you that you haven’t been willing to see before, which helps you to stop that judgment cycle over the long term. Unfortunately, the majority of us are taught that the key to success in life is to fit in and become like everyone else. We aren’t encouraged to know and be true to ourselves. We tend to make what other people think more valuable and we become really great at knowing exactly what other people want and desire while never having a clue about what we desire! The power of questions is an essential tool for re-discovering what you would truly love to be and do in life and to keep expanding your awareness of what else is possible for you. Start asking yourself every day, “If I could choose anything, what would I choose?” - “What do I love to do?” - “What else is possible for me and my life that I decided was impossible?” They may seem simple questions, but they will give you access to more of you every time you ask – if you don’t ask, you can’t receive! Question and curiosity have the power to change anything in your life – what is that you desire to change and create? Perhaps now is the time to begin asking. Don't know which questions to ask? It's all done for you right here! Get All the Questions Here!